Explosion Proof Continuous Vertical Liquid Level Sensor (LVCS-FP) - Deeter Electronics, Inc. Explosion Proof Continuous Vertical Liquid Level Sensor (LVCS-FP) - Deeter Electronics, Inc. 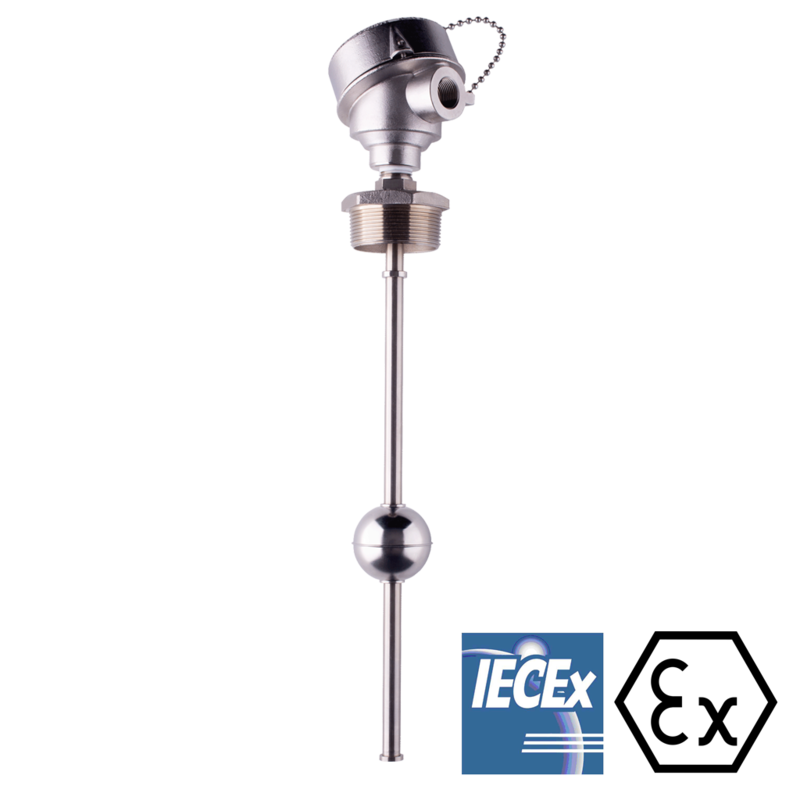 The Deeter LVCS-FP is a magnetic float on a reed switch or Hall Effect sensor stem for control and indication of a liquid level while in a potentially explosive atmosphere. Standard or custom length sensor stems up to 6 Metres. Stainless steel 316L housing and wetted components. Suitable for gas and dust environments. Reed switch or Hall Effect sensing technology. Voltage and current loop analogue output. M20 and ½”NPT cable connections. Narrow sensor stem and mounting for tanks without internal access. Suitable for high liquid temperatures. The LVCS-FP holds ATEX & IECEx Ex d certification for use in most regions worldwide.